This is being held in the Gasworkers' Club, Preston Street, Fleetwood. Henry Watson Library, Manchester Central Library. 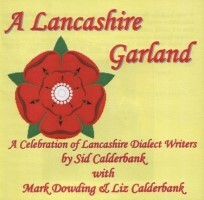 A recording of "A Lancashire Garland" took place at the Room at the Top folk club in the Red Lion Hotel, Newburgh, nr Parbold, Lancashire. Lancashire Night in aid of Belarus Aid at the Stanley Institute, Burscough, Lancashire. along with Sid Calderbank, John McAlister and others. The night was a big success being a sell-out and nearly £1000 was raised for the Belarus Aid funds. Thanks to everyone who came along and supported the event. Edwin Waugh Dialect Society, Rochdale. Private event for Newburgh Church "Over 60's"
Four Fools Folk Festival, Lostock Hall Community High School, Lostock Hall, Nr Preston. 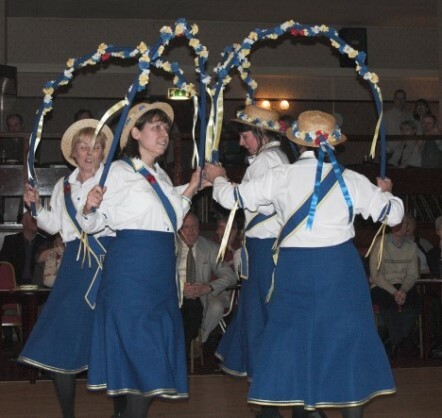 Saddleworth Folk Festival, Uppermill, Nr Oldham. Includes a performance of "The Lancashire Cotton Famine" with Sid Calderbank, Mike Bartram, and Mary & Norman Wilson. A performance of "The Lancashire Cotton Famine" with Sid Calderbank, Mike Bartram, and Mary & Norman Wilson. Bring your own Booze, Tea and Coffee available. 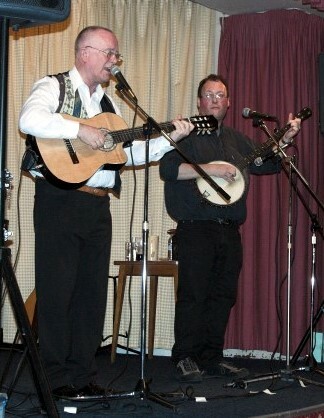 Songs performed by Mark Dowding and Chris Harvey. A concert at Parbold Village Hall featuring local entertainment to celebrate the refurbishment of the hall. "An evening of Northern Entertainment" at Dalton St Michael's School, near Parbold to raise funds for the School and Church. There is no bar at this event but please bring your own favourite "refreshment"
Lancashire Night in aid of Belarus Aid at the Royal British Legion, Burscough, Lancashire. A performance of "A Lancashire Garland"
A rare opportunity to view the Rylands Library Ballad Collection with a performance of several of the ballads by myself and Chris Harvey. There are limited places for this event and may now be fully booked. Please phone Rylands for more details. Spots through the afternoon with John MacAlister. 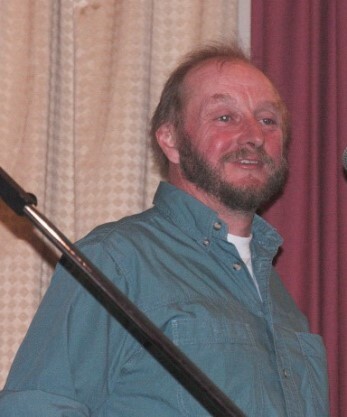 Cleckheaton Folk Festival - "War of the Roses"
A Performance of "The Lancashire Cotton Famine"
"An Evening of Railway Songs"
"An Evening with Edwin Waugh"
For tickets ring Alan McCabe 07778 742070. 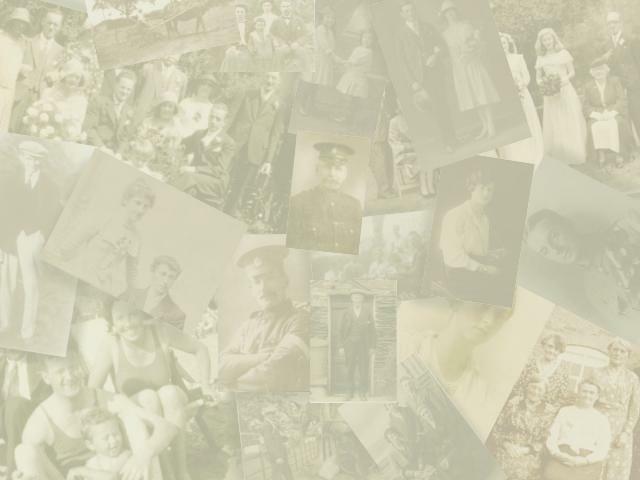 18th-19th Burscough Heritage Weekend at the Grove Community Centre - Afternoon singing. 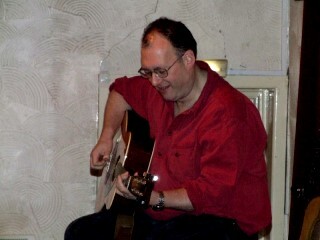 Monday Nights - I run the Room at the Top Folk Club at the Ring o' Bells at Lathom. Please feel free to come along and join in either as a performer or a member of the audience. All welcome! 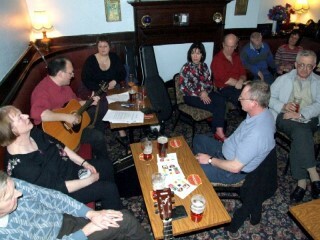 A performance of "Manchester Ballads"
November 27th Lancashire Day at The Ring O' Bells Lathom from 7:30pm - All welcome.